We are proud to introduce our self as manufacturer and supplier of chemical process pumps, valves , all engineering parts and their spares since 2005. We assure that products we deal are of best of qualities and priced competitively. With the 10 years experience in chemical process pump service & manufacturing, we do the service of chemical process pump. 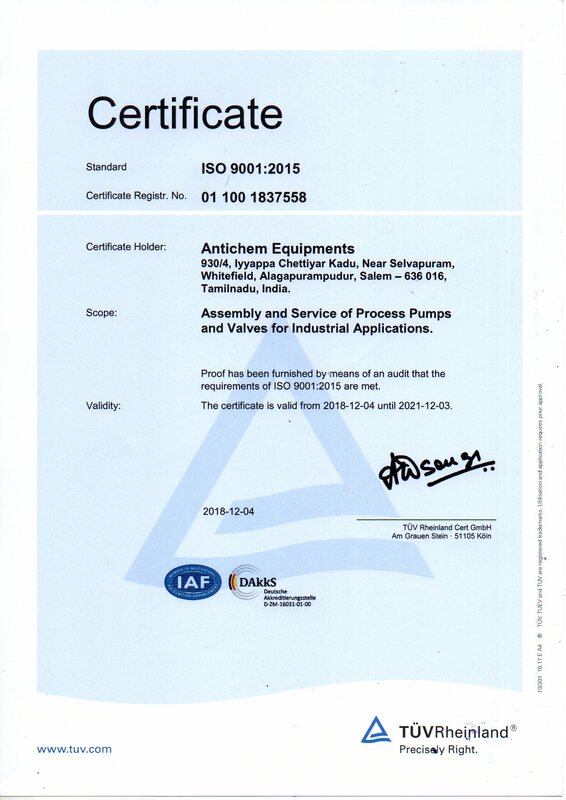 Also we are taking annual maintenance contract for chemical process pump (PP, PVDF, SS, and CI etc.). 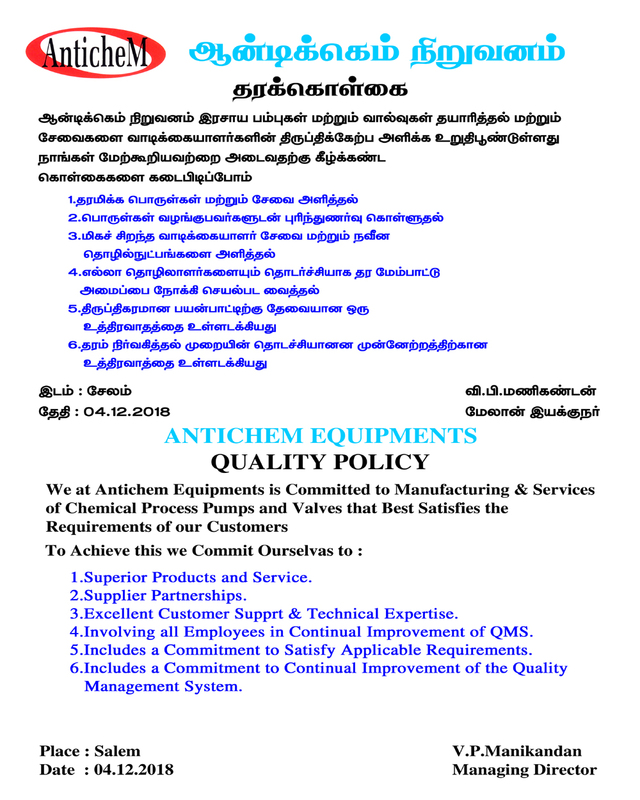 We do the same at your factory or our factory located at Salem, Branches in Hosur and Chennai . 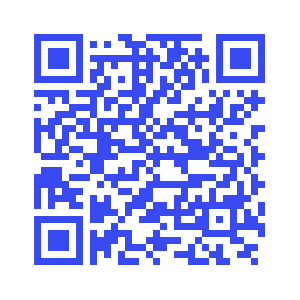 Covering all south Indian states. 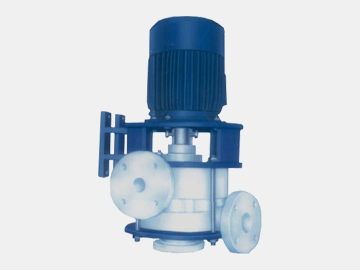 Polypropylene Process pump is a horizontal single end Suction standard ized process pump. 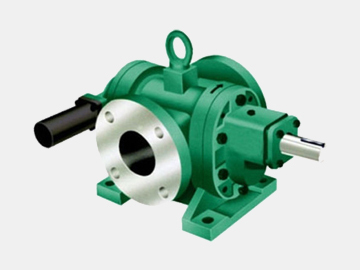 PP Series process pump are supplied with mechanical seal / gland packing arrangement covering 85% of the chemical industries requirement, the pumps are manufactured fro polypropylene co-polymer-a chemically insert thermoplastic by the use of an exclusive moulding process. 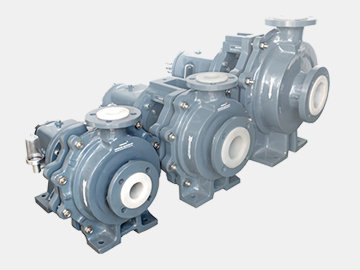 These pumps gives you unusual protection against highly corrosive chemicals. 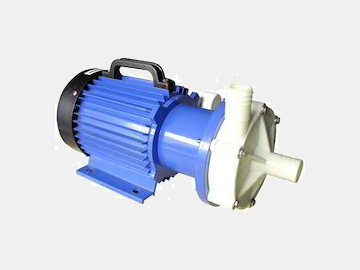 The solid moulded casing and impeller ensure a smooth running pump for long life and a minimum wear. 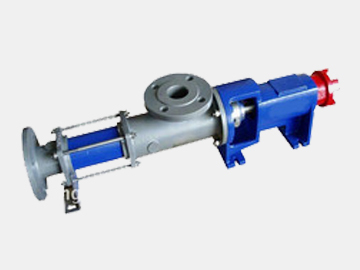 All pumps, shafts are fitted with sleeves of different materials compatible with the liquid handled. Max. Capacity : 70 m3/hr Max. Max. Head : 38 mtr. Material of Constrution : Polypropylene. Upto 2 Hp Monoblock / Non monoblack option available. • Scrubbing of Corrosive Gass like Ci2, Br2, F2, So2, So3,Co2, NH3, Descaling, Electroplating. 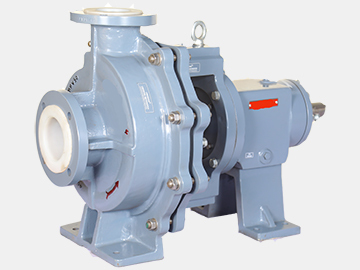 Molded PP Pumps have gained wide acceptance by chemical Industry for handling of corrosive media and ideal choice for handling of acids and alkalis. 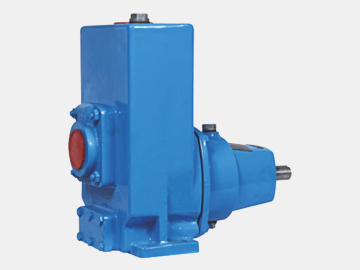 The pump incorporate robusd design to handle corrosive fluids including corrosive slurries. Top centerline discharge, self-venting casing arranged for back pull-out. Fully confined gasket. 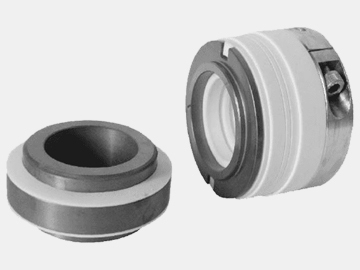 Foot support under casing for maximum resistance of misalignment and distortion from pipe loads. ANSI-B-16.5 (Class 150) flanges standard. 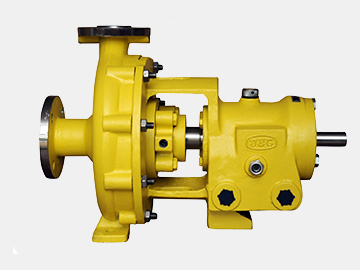 ANSI-B-16.5 (Class 300) optional for working pressures to 2550 kpa with 3mm corrosion allowance. 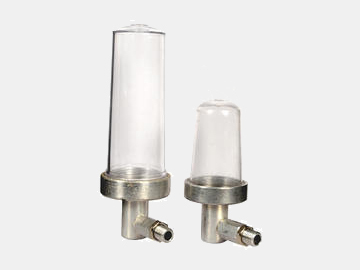 For Maximum Corrosion erosion resistance casing is supplied without tapped opening but gauge and drain plug opening are provided when specified. Impeller matched to casing for high efficiency and low NPSH. Fully open, has partial shroud for maximum vane support without high thrust inherent in closed impellers. 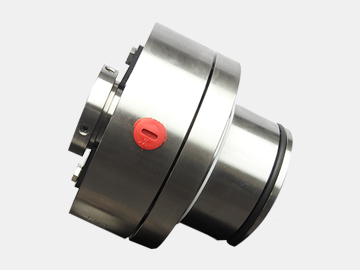 Stuffing box pressure reduced and entrance of solids prevented by back pump-out vanes. Large smoothly contoured flow passages combine best slurry and solid handling ability. Impeller is locked on shaft with impeller lock-out and are sealed by PTFE gasket. State of the art casting methods provide smoothest possible surfaces for highest efficiency. 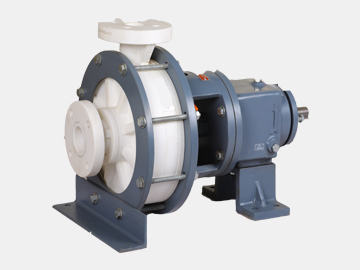 All impeller are statically and dynamically balanced. Material Of Construction : CI, CS, SS, Alloy20, Hastelloy B & C, monel, CD4 etc. 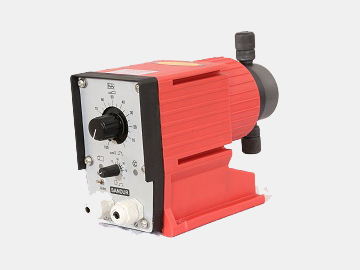 • High Temperature liquids up to 260 C.
These Pumps are designed for handling of most Several Industrial duties & available in variety of lining materials to suit different requirement involving highly aggressive media at elevated temperature. the wetted parts of the umps are lined with following flouro – polymers. Polymer lining will reduce uneven shrinkages of the plastic while moulding. 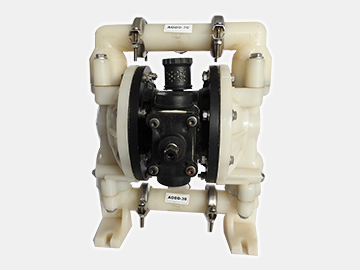 Wetted parts of the pumps are of PVDF/FEP/PFA lined. Strong metal WCB / SG IRON Armor provoides positive, solid support to polymer lining and anchoring grooves provide reinforcement. 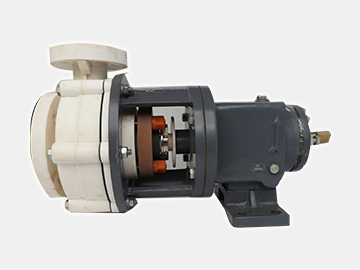 Hence these pumps can with¬stand for higher stress at elevated temprature and pres¬sure than split armored / solid molded pump Available in 1440 as well as 2900rpm. Flow rate upto 200 m3/hr.Head upto - 100mts. 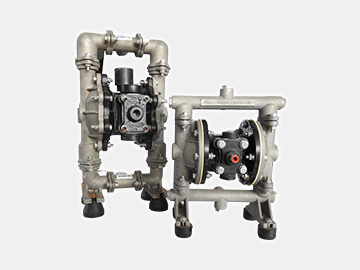 We stand as a leading player of the market dealing in technically sound and productive range of Air Operated Double Diaphragm Pump. 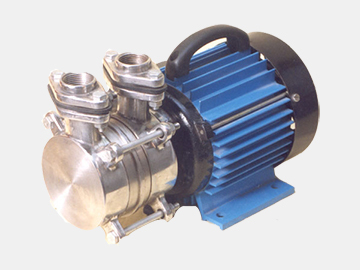 The offered pump is extensively used in the circulation of liquids and air. 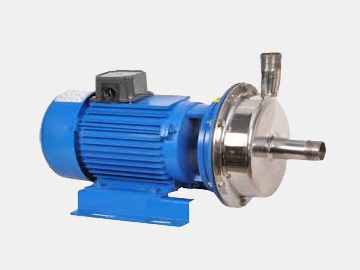 Finds application in chemical, pharmaceutical, beverages and many more industry, this pump is manufactured in compliance with predefined industry standards by making use of quality checked components and advanced technology. 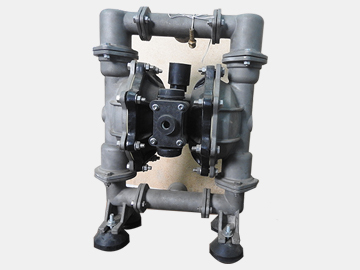 Moreover, this Air Operated Double Diaphragm Pump is available in various specification with complete range for our esteemed clients. • No electrical motor - non sparking. 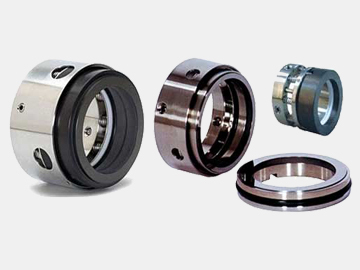 • No mechanical seals or gland packing. • The Pumps can run dry without damage. • Safe for use in horizardous/explosive environments. • Variable flow - simply regulate the inlet air supply to adjust flow from zero to max. 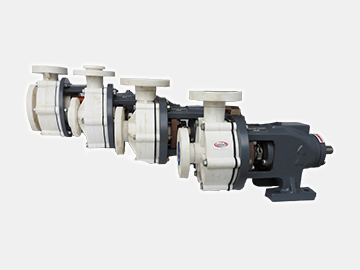 • By opening discharge, flow starts automatically. • Self-priming from a dry start up to 6 meters without a foot value. • Operates submerged or with flooded suction. 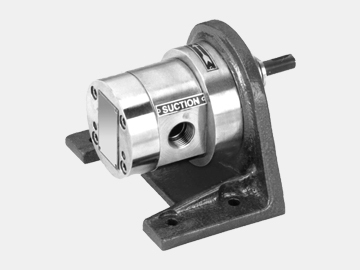 • No close fitting, sliding or rotating parts so can handle a wide range of fluids with high solid content. • Quick assembly and disassembly. 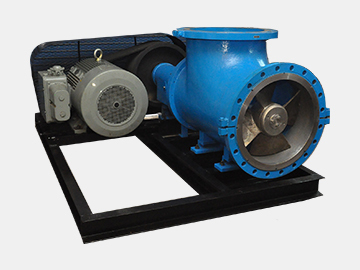 The Axial flow pump generates flow buy the thrust or lift action of rotating axial vanes of the impeller. 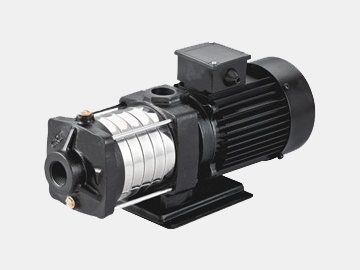 The pump has an elbow that directs the flow through the suction and out the discharge end of the pump. 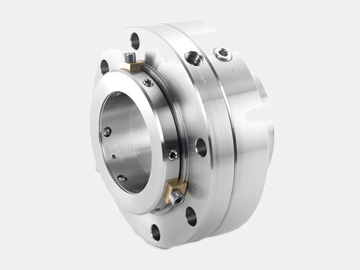 It can be used in the top or end suction configuration depending upon the need and flange dimensions, bolt circles and holes comply with ANSI B16.5, 150#. The back pull out design (up to 14"size) allows for easy maintenance and repair as the rotating element may be removed without disturbing the pipe work. 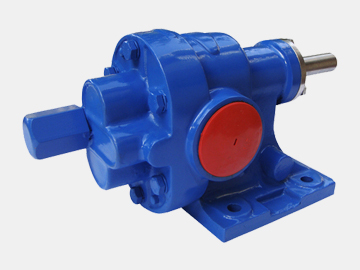 Pump has wear rings as standard and lift¬ing eye on bearing bracket. 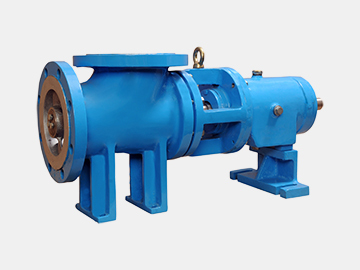 Axial Flow Pump is unmatched in the industry for high volume / Low head pumping requirments, especially when corrosive and/or abrasive solutions are involved. 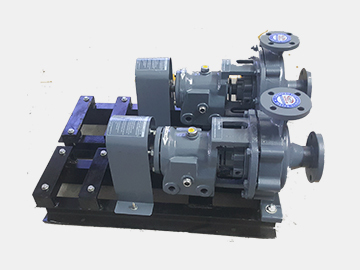 Horizontal non self priming pump with back pull out design (up to 14"size & bigger size available on request). The "back pull out " design allows for the maintencance of the pump without disturbing the pipe work connected to the casing, or the pump alignment. 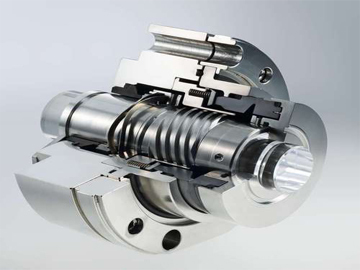 The unique pumping principle applied employs a highly precision manufac-tured Metailc Single helical rotor turning inside a double internal helical resilent stator. 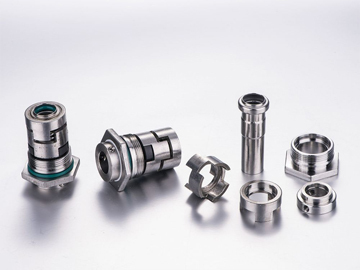 Thereby forming cavities confined by a "Sealing Line' which is main¬tained at stand still and during rotation. Whilst the rotor rotates in the stator, the cavity formed between them progresses form suction to delivery side, gently carrying the medium. Good self priming properties even with air or gas inclusion in the lquid upto 8.5MWC. 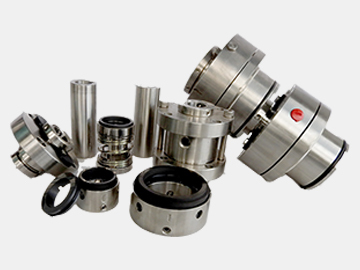 Handles solids in suspension or mixture containing high percentage of solids. Bigger size pumps upto 40mm dia. 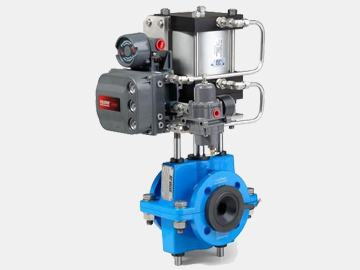 Steady and smooth flow with little pulsation makes it suitable for dosing and metering duties. Direction of the flow through the pump is reversible by merely changing direc-tion of rotation of the prime mover. The pressure head is independent of speed and capacity is proportional to speed. Gate and check valves are not necessary. The metal bonded high precision moulded stator ensures, high efficiency pressure and increased life. 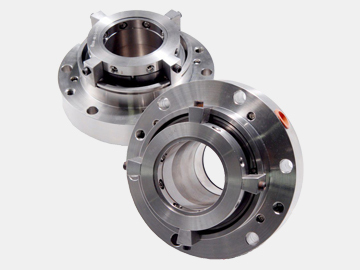 Also avilable in flanged end. 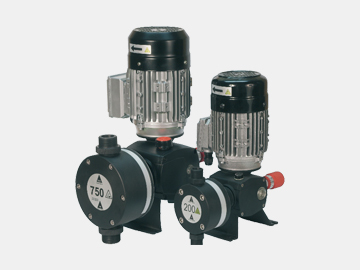 Zero maintenance pumps, eliminates the need for gland Packing and seal. Leak proof and can run dry without damage of rotating parts. Pumps to be mounted out side the suction tank vertical position and not to be submerged. 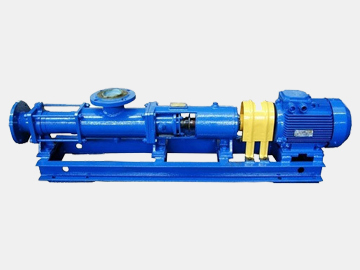 Vertical Glandless Pumps, similar in hydraulic design to any conventional centrifugal pumps, it differs in, so far as restriction is provided, escape by way of an overflow Connection in the upper pump body & return to the suction line. Preferred selection for E.T.P.Plant because of seal less design & can run dry. Low maintenance cost & makes maintenance easy. 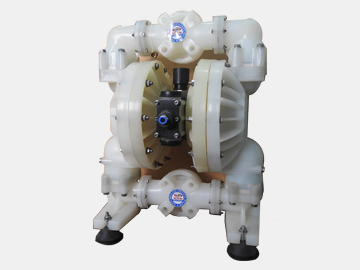 SPM pump is a single stage. 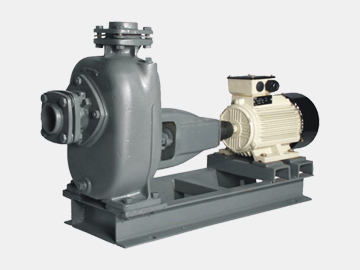 Horizontal, Centrifugal, self Priming, End Suction Coupled pump. Automatic and quick self priming, no foot valve required. No priming of suction pipe line. Sturdy construction, simple design. Minimum maintenance required. Non closing and handles solids up to 17 mm. • Ideal for pumping sewage muddy water with solid upto 17mm. 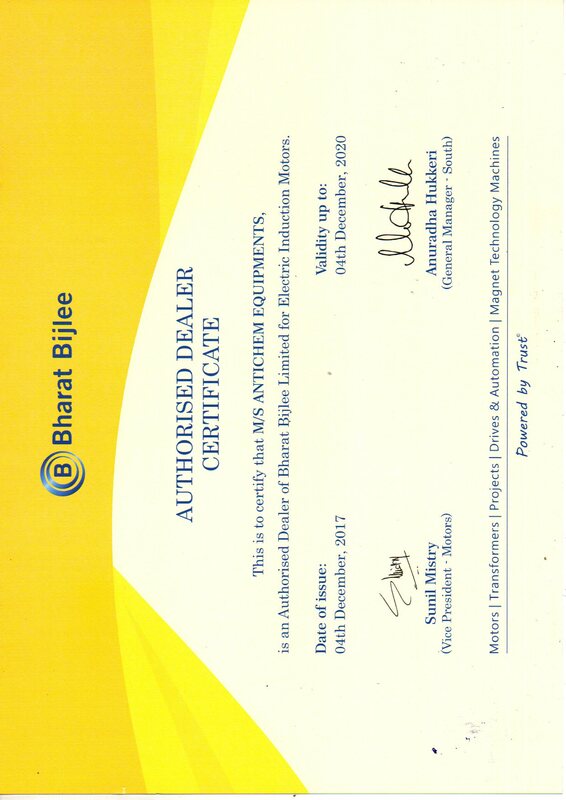 • To handle polluted liquids, diesel, kerosene, efflurnts of chemical industries. Widely used for public and civil engineering. Material of Construction: CI,CS,SS,Alloy20 etc. Solids up to 17 mm. Max. Head : 64 mtr. 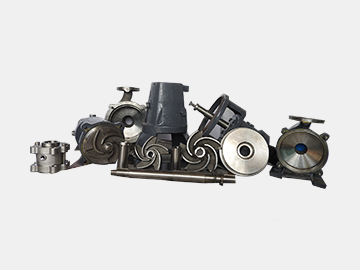 All wetted parts like pumping chamber, pump base, discharge tee, nozzle, wing nut and impeller are made of 55316 investment castings. The outer & inner pipes are seamless type made of 55-316.Shaft is made of 5S-316 bright bar. 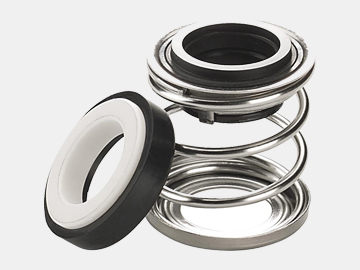 Guide Sleeve and lip seals are made of Teflon. 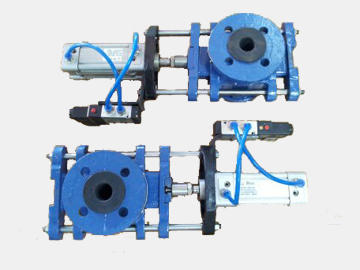 Pumps Available with Pneumatic / Flameproof / Non Flameproof Motor & also Available with Regulating System. Upto 110 Lts / Min. At open dicharge head Upto 560cp PUMPING TYPE :Submerged or Self Priming. 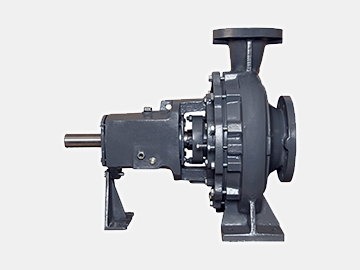 Antichem Barrel Pumps are widely accepted barral and containe pumps for handling highly fluid and viscous liauirs max.upto 560cp. 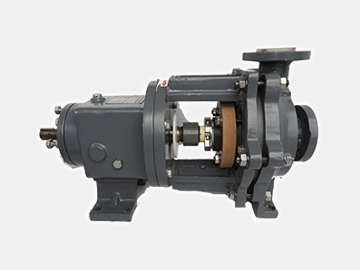 Pumps has been designed such that it can be used for various containers	range from 251ts. Caboy to 500 lts. 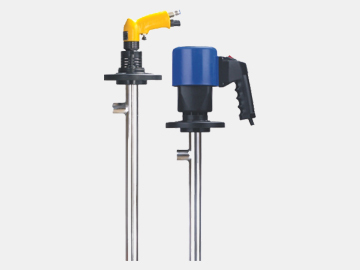 Barrels Pumps are available in three different pump Tube lengths. i.e L= 700, 1000, 1250mm. 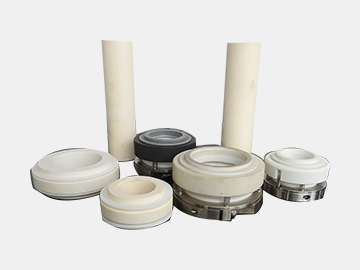 Stationary: Ceramic / Silicon Carbide / Tungsten Carbide / Stellite. For highly corrosive clear / absrasive liquids from low to medium pressure. (Externally Mounted). Pressure: upto 15 Bar, Speed upto 6000 R.P.M. 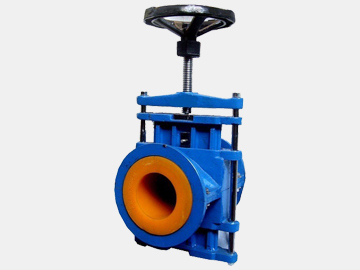 • Flanged ends & drilled to DN, ANSI, BS-10, IS etc., This valve in-corporates all design modification based on our experience & good quality finishing to abrasive and corrosive media.